It is said that the fastest way to build wealth is in real estate. One way savvy investors are able to supplement incomes from their full-time jobs using the real estate market is in the purchase of a home or apartment that is then leased to renters. While purchasing a rental property definitely requires the ability to float a great deal money up front, and can also be a ton of work, the cost to benefit ratio definitely swings in the land lord’s favor. This is especially true of investors who really do their homework. The ebbs and flows of the market dictate a lot of what is in the best interest of potential buyers and future landlords at any given time. Single-family homes can be difficult to rent out in a buyers market individuals looking for a place to live might be swayed to become homeowners themselves. On the other hand, a seller’s market might mean the rent you could charge is not substantially greater than the monthly mortgage payment. For this reason, many buyers dabbling in real estate for the first time are looking to town houses and condos to be used as rental properties. This is in part because of the lower price point when compared to single family or even multi-family homes. But which is the best choice? The answer to this question is dependent on a lot of factors. In this article, we work to outline those factors in great detail, giving you all the information you need to make the best decision on your investment. 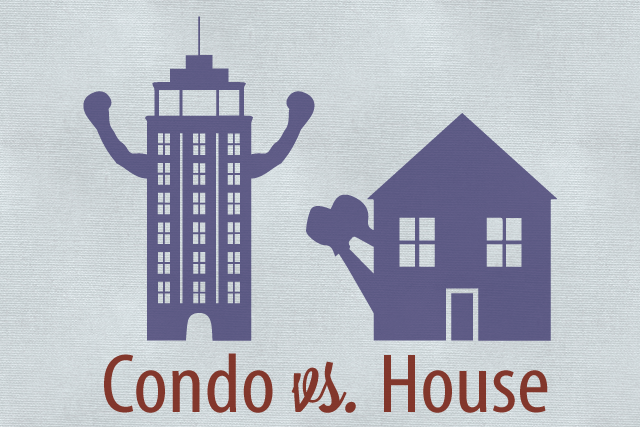 Before we go over the pros and cons of townhouses and condos, it is helpful to understand the factors that characterize condos and townhouses respectively and why these options can be a better investment than a single family home. First and foremost, a condo is a small space, more like an apartment than a house, that is within a larger complex of units that are exact or at least similar in size and layout. This means, your condo will have units above, units below, or units on either side. Depending on the complex, you may have a small yard, but typically there is none. A townhouse differs in that it is not always a part of a complex, although it sometimes is and may look to be. Townhouses are more common in urban communities where developers are trying to utilize as much space as possible. You will often see townhouses butted up next to each other to the point where they almost look like one building. Some townhouses are single family homes and the many narrow levels account for slightly more square footage than you would find in a condo. Because you have paid less for your condo or townhouse than you would for your single family home, your monthly mortgage payment is less. The goal in leasing your property is to get more in rent than you would pay in equity in order to create a profitable cash flow each month. That said, when it comes to renting, square footage is less important than the number of bedrooms. For example, let’s say a single family home in your neighborhood costs $250,000. It has 1500 square feet and two bedrooms. You put down 20% ($50,000). Once interest is factored in, your monthly mortgage payment is probably around $1000 a month. Now, a condo in the same neighborhood might cost around $75,000. It has far less square footage and one bedroom. After your 20% plus interest, your monthly mortgage payment is around $300. For each bedroom in your single family home, you might be able to get around $800, bringing $1600 in a month. This is $600 in profitable cash flow, before any regular maintenance costs. You might think that the condo would bring in the same cost per bedroom, but in fact, because it is one bedroom, the implication is that the one person or couple living there has less common space to share. Thus, rents on one-bedroom apartments tend to be higher. For our hypothetical condo, it is reasonable that you as a landlord would ask $1200-$1500 per month. That would make for $900 dollars a month on the low end, which is a higher profit margin than that of the single family home. Now, some might say that the HOA fees associated with condos and some townhouses would even things out, but let’s look at the numbers again. Even if HOA fees are $300 bringing the total out of pocket cost per month for the homeowner to $600, the profit margin on the low end is still equivalent to that of the single family home. Guess what else, those HOA fees cover lawn care, building maintenance, snow removal and any other miscellaneous upkeep that a landlord of a single-family home would have to take care of themselves. If the care costs and associated work is not enough to convince you of the better value deal in condos and townhouses, remember this: it cost less. This means you owe less and are building equity faster. In other words, the $600 in profit goes a lot farther in the condo or townhouse than it would in the single family home. In order to make this very difficult call, it is best to provide a list of pros and cons for each home type to determine which is the best investment opportunity. Most hands-off approach to homeownership. Anytime your tenants call with an issue, it will not be you on the other end of the line, but the super working for the condo association. Often cheaper than townhouses because they lack land or a yard of any kind. Can mark up space because of innate accoutrements provided by condo complex. Insurance and utilities included in HOA fees making for nice cost consolidation. Often communal areas include amenities like swimming pools which are attractive to renters. HOA fees are far higher than that of a townhouse because of all that is included. Communal areas within the complex like swimming pools are an added cost the monthly fees. Condos are a part of a larger community. While this could also be a pro, it really depends on the renter and some are turned off by the proximity of neighbors. Some condo associations strictly prohibit renting or subletting. You need to be sure to do your research. If a part of a complex, ease of maintenance is a benefit. HOA fees tend to be lower. May have some small semblance of a yard for renters to enjoy. Condo living with the look and feel of a house. The HOA fees cover less, as there is less communal space. That said, there is less appeal for renters seeking communal space. Because the townhouses are typically butted up to another space, the owners are sharing at least some of space with other owners, making property lines murky. Typically more expensive than condos depending on the location. As townhouses are more common in cities, prices tend to be higher. So much of the ultimate claim of which home style is a better investment is dependent on location and renter behavior. If you are looking to invest in a suburban area where traditional apartments are scarce and detached homes are pricy, a condo might be the best choice. You will attract more renters and have very little responsibility to the tenants. In urban areas or areas where the price of housing, in general, is pricier, than a townhouse is best. It is cheaper, slightly less maintenance, and gives renters the feel and look of a home, providing some privacy amidst the hustle and bustle of the big city. While there is less communal space, this is less important in urban areas where communal space is everywhere. It is an added bonus if the townhouse you purchase is a split level and can be rented to multiple families. This just means more income for you without much more initial cost. While the verdict may still be out in some senses, the above information will be a good place to start as you seek to embark on your first big real estate venture. Before you do anything, make sure you understand the market in your area and read all the fine print of whatever deal you sign concerning a particular property.